New to Pressbooks? Welcome! 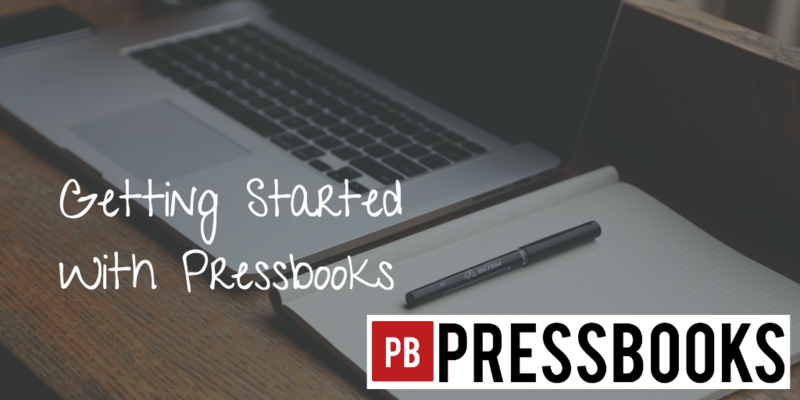 Here are some tips on how to get best results when using Pressbooks software. Pressbooks brings down the cost of getting great-looking book files in the formats you need to publish. Pressbooks makes sure your book meets complex ebook and print-on-demand standards as well as the Chicago Manual of Style recommendations for book formatting, without you hiring a graphic designer or ebook developer or learning these skills yourself. Pressbooks does this automagically in the background so that you can concentrate on what you do best…writing! The tradeoff of all this magic in the background is control. It is possible to manually customize your design if you’re comfortable with CSS. Otherwise, Pressbooks will give you a great-looking book, but you won’t have a lot of control over the nitty-gritty elements. What is Pressbooks not for? Pressbooks is great for most books, including books that contain some pictures, but if you’re making a children’s book, coffee table book or similar, Pressbooks is not the ideal tool. For these types of books, you’re best off with a traditional design tool such as InDesign, which gives you granular control of every page. Pressbooks is a formatting software, so you need to start with clean (unformatted) text. This is true of any book formatting software you would use, not just Pressbooks. For best results, you should start with the cleanest text possible. If you’re going to write directly in Pressbooks, your text will be clean from the start. If you already have a manuscript in another program, chances are it has hidden code which can wreak havoc on your book outputs (this often occurs in the form of “span” tags from Microsoft Word). To remove this code, use the copy/paste method to import your manuscript into Pressbooks. This will remove most of the bad code while keeping some of the formatting that will translate to ebooks and print-on-demand. You can also run your copy through a plain-text editor to clean your text. This will remove all bad code, but it may remove some important formatting (like paragraph hard returns) too. For best results, write directly in Pressbooks, or forgo formatting your Word doc as you write. Use universal styles, not manual formatting. Ever try to format a 50,000-word manuscript paragraph by paragraph? It’s not fun. That’s why, like most modern design tools, Pressbooks favors the use of “universal” styles to govern your layout rather than “inline” styling. For instance, you can choose to indent or skip lines between paragraphs for the entire manuscript in one click under Appearance / Theme Options. Text is also automatically justified in PDF and MOBI outputs (the EPUB standard is to let the reader choose). Or, use ‘heading’ designations for subheads (rather than bold) and if you’re comfortable with CSS, you can change the way your headers appear instantly in the style sheet, rather than changing them all manually. If you use styles consistently, rather than inline or one-off styling, your book will look more professional. As a general rule, if you find yourself repeating the same formatting over and over again, there’s probably a better way! Email support@pressbooks.com and we’ll provide suggestions. How covers work in ebooks and print. With an ebook, you submit your ebook cover and your ebook to the ebookstores, but the ebook cover is also included in your ebook file. You can upload your ebook cover into the “Book Info” section in Pressbooks to have it exported with your ebook. Covers work differently for print. When you use a print-on-demand service, your cover is not part of your “interior file.” Instead, you submit two files–your interior file from Pressbooks and your cover file–to your printer. How to work with images in Pressbooks. There’s room for improvement on how images are handled in Pressbooks, and we’re hard at work on that based on suggestions from our users. In the meantime, use these tips to get best results with images. How to format and test your ebook. Pressbooks is built to make ebook design easy, but ebooks are by nature somewhat fickle. Between the two different formats, various retailer requirements and a wide range of reading devices, there are many variables and restrictions to consider. Ebook files produced with Pressbooks are designed to be the best-case scenario across all devices, but we can’t guarantee all elements will display the same on all devices. In addition to the variations across retailers and devices, some things you may want to do don’t translate to an ebook because the device gives the user control over particular features. Learn why you may not be able to force dropcaps, indents, headers, footers or fonts in an ebook, why you can’t and shouldn’t remove your table of contents, and how your ebook reflows to be responsive to ereader devices. When it comes to testing, we almost never have files rejected by ebookstores, but it’s good practice to test and validate your ebook before uploading. Here’s how to test your ebook files. Some warnings are just cautionary and don’t affect how your book will look to your readers, but if you do get a serious error and can’t find its source, contact us at support. We’ll help you diagnose and resolve the problem. Pressbooks is a DIY platform you can use to save thousands of dollars over commissioning manual graphic design and ebook development. We don’t design files for you, though we’re glad to refer you to one of our partners for this. Have more questions about Pressbooks? Contact us at support. We’re glad to help!